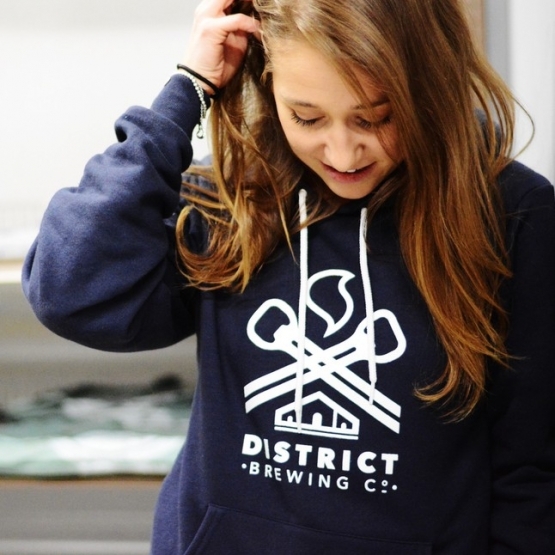 District Brewing Company's "Original" logo is screenprinted in white on a unisex, navy blue American Apparel Flex Fleece Drop Shoulder Pull Over hoodie. This pullover hoodie features a kangaroo pocket, drawstring hood and fitted body. Constructed from our extra soft and durable Flex Fleece.